Glaucoma is a group of eye conditions which result in characteristic damage to the optic nerve. 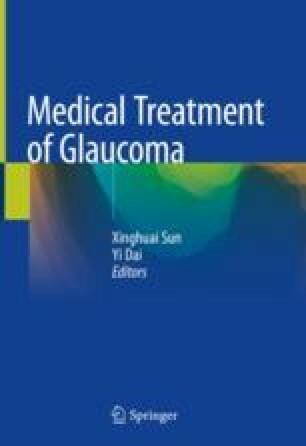 The pathogenesis and management of primary angle closure glaucoma are different from that of primary open-angle glaucoma. The main types of secondary glaucoma and their underlying causes, treatment principles, and medication options are discussed in this chapter. Treatment of secondary glaucoma should be directed at blocking the underlying disease process and lowering the IOP. Glaucoma therapy related ocular surface disease and drug tolerance are important issues that need more attention. Medical management of the children or pregnant with glaucoma is challenging with respect to balancing disease progression while minimizing systemic risks. Both ophthalmologists and health care providers should be aware of the necessity of careful monitoring and avoiding the potentially dangerous side effects of anti-glaucoma medications.